Since the Xbox 360 era, Xbox Live Achievements have provided an extra bit of joy for players of all walks, from those who loved to attempt the impossible, to others who enjoyed a stroll off the beaten path. For those Xbox players that measure their moments from bleep to bloop, we’re excited to unveil the next era of Gamerscore-garnering with the official Achievement list for Halo 5: Guardians. Needless to say, in order to underpin your next Halo experience with Xbox Live’s simple symphony of satisfaction, you’ll be tasked with tackling the toughest campaign challenges, commanding your team in creative ways, collecting valuable ONI intel, making magic in multiplayer, showing Warzone who’s boss, and much, much more. You’ve got your Achievement list, Spartan. Now let’s hunt them down! Below you'll find the 65 achievements, worth 1000 gamerscore, that will be available at launch. Complete every Mission of the game on Heroic difficulty. Complete every Mission of the game on Legendary difficulty. Complete every Mission of the game on Legendary difficulty, by yourself. Complete any Mission on Heroic with 3+ Skulls active. Complete any co-op Mission on Heroic difficulty. Complete every co-op Mission on Heroic difficulty. Find and claim all Intel. Find and claim a Skull. Find and claim all Skulls. Command your team of Spartans in Osiris. Help the Elite General charge the hill in Osiris on Heroic difficulty. 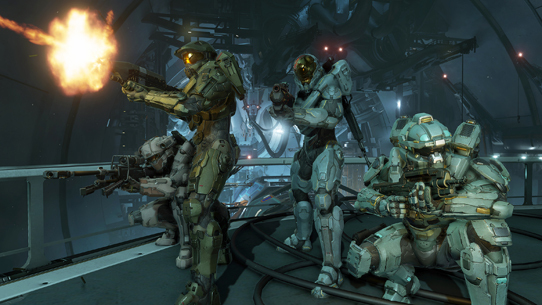 Escape the Hunters in the lab and fight them in the hangar in Blue Team. Simultaneously Assassinate two Elites in Blue Team co-op. Complete Glassed without entering a vehicle. Complete Glassed co-op without any players using Smart-Link. Kill an enemy that's had its armor repaired in Unconfirmed. Team up in a vehicle to kill 30 enemies in Unconfirmed co-op. Keep 6 miners alive at the elevator in Evacuation on Heroic difficulty. Finish Evacuation within 18:00 without dying on Heroic difficulty. Traverse the canyon in Reunion without a Phaeton on Heroic difficulty. Destroy the Phantom at the Covenant camp in Reunion on Heroic difficulty. Destroy 10 walls or floors in Swords of Sanghelios. Complete Swords of Sanghelios co-op with both Mantises on Heroic difficulty. Complete Enemy Lines without destroying a Kraken turret. Escape the doomed Kraken by jumping onto a Phaeton piloted by a Spartan. Kill a Grunt and smash a grate with a Ground Pound in Battle of Sunaion. Knock two Hunters into the ocean during the Battle of Sunaion. 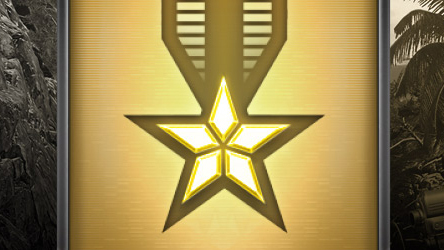 Finish the 13th mission without losing the Scorpion on Legendary difficulty. Operate four different vehicles at once in Mission 13 on Heroic difficulty. Complete The Breaking on Legendary difficulty without the entire fireteam dying. Simultaneously kill two Wardens in The Breaking on Heroic difficulty. Ground Pound an exterior power core in Guardians on Heroic difficulty. Simultaneously destroy 2 cores in Guardians on Heroic difficulty. 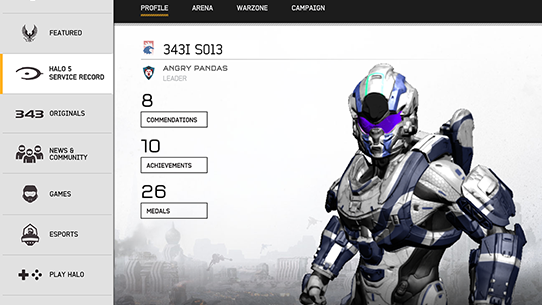 Complete 3 Warzone matchmade games. Call in a REQ that costs 5 Energy or more. Kill a Warzone Legendary Boss. Win a match on the three original Warzone maps. Complete 5 Stronghold matchmade games. Complete 5 Breakout matchmade games. Complete 5 Capture the Flag matchmade games. Complete 5 Slayer matchmade games. Change your Spartan's gear in the Spartan Hub.